Having a well-trained dog opens up a world of possibilities for fun experiences and sets dog owners up for success with their pet. The definition of a “well trained dog” will vary from dog to dog and from situation to situation—not all well trained dogs can do the same things (or would want to do the same things) but there are plenty of things well-trained dogs can do that others can’t. Well trained dogs can walk nicely on leash in public, be invited into dog friendly stores (that aren’t pet stores), be invited into the work place, explore the environment off-leash (where legally permitted), help others through therapy dog visits, be trusted when visitors come over, behave appropriately in public situations, wait patiently, pose for photos nicely, and even help around the house (cleaning up their toys or even fetching you a drink!). The Association of Professional Dog Trainers (APDT) has deemed January “National Train Your Dog Month”, so there is no better time than now to improve your dog’s training! Whether you have a new dog in your home that needs to learn the basics or you have an adult dog who has been annoyingly pulling on the leash for years, getting into training will ultimately make your life with your dog more enjoyable. Now, you may be thinking, “It’s been like this for years, Fido’s behaviors can’t change” or “We’ve tried everything and nothing ever works!” Well, I’m here to tell you that things can change and change for the better! Getting into a training class with skilled and experienced positive trainer or hiring a private trainer can make all of the difference in the world to the efficiency of your training. You wouldn’t give up on fixing your car without taking it to a mechanic or two, right? There is no need to just live with the behaviors your dog has without training with a trainer or two and certainly no reason to relinquish a dog to a shelter without hiring a professional. If Fido is lovely except for the housetraining challenges, your best bet is to hire a private trainer who can come to your home, help you get a routine created and get a training plan in place. If your dog has a long history of pulling like a tank on leash, you may be best served by hiring a positive trainer to help coach you on that one specific problem area and teach Fido to walk nicely in your neighborhood. 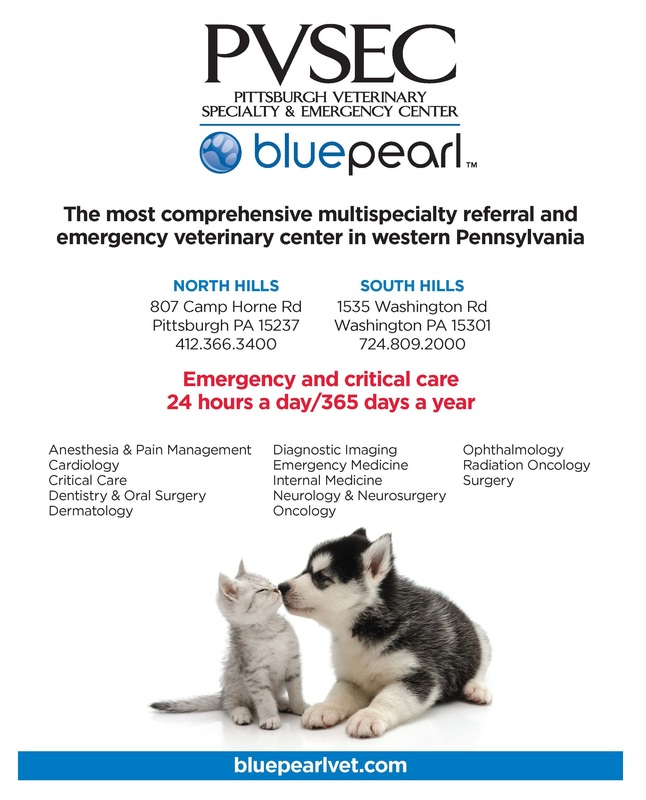 If your pup is a moderate puller or has some other manner issues, a group class may be appropriate for your situation. 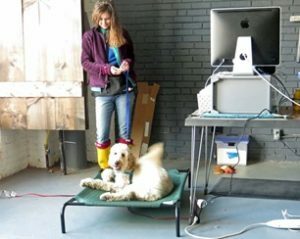 Hiring an experienced trainer to come to your home and help you create a training plan that will work for your specific situation can be helpful for multi-dog homes but a good basic level group class will also help you learn techniques to quell the jumping. With potentially dangerous behaviors, hiring a private trainer to address the concerning behaviors is the most prudent approach. When working with behavioral problems, it’s extremely important to hire a skilled and experienced trainer to work with. Not all trainers have catered their education or experience to working with behavioral cases, so making sure you get the right trainer is important to your success. You may be able to find a growly-dog class in your area as another option for some dogs/handlers, but these classes are not right for all dogs. Group classes that focus on manners may be a solution for many of these dogs. Group classes help teach a dog focus in distracting environments and trainers can help handlers learn some new exercise ideas. There are even some group classes that focus on relaxation that may be of help. Some dogs, however, may need private training to work on a relaxation protocol with individual coaching. basic group classes are designed for just this problem. You have a dog who doesn’t generally listen or respond to you (maybe they are great inside your home, but outside, they don’t even know you exist). Group manners classes will teach you all the basics and teach you how to get your dog to respond to these cues in the real world. Since not all dogs are right for group classes, private trainers can also be great resources for this problem as well. Perhaps your dog is already a mannerly pup and you are just not sure that training is worthwhile. Well, getting involved in a fun training class can deepen your bond with your dog and teach you so much about him/her—plus classes are simply fun experiences your pup can have with you! There are countless canine sport classes and fun casual classes available to you—even if you have no desire to become a dog-nerd dog-sport competitor, training in a sport can be fun. 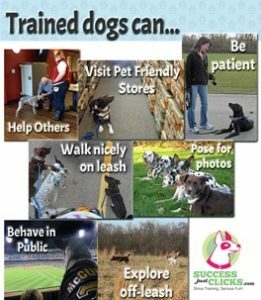 Want to learn more about National Train Your Dog Month and the contests and events involved, check out www.trainyourdogmonth.com . Not sure where to start or how to do more with your dog? Here are two online resources where you can search for local trainers to contact: www.petprofessionalguild.com and www.apdt.com . Caption: Trained dogs can do more! What do you want your dogs to do? Caption: Weatherby can do more! He’s training to be able to accompany his mom in the office!